Shrimp Wrapped with bacon and chipotle with rice and beans (Guacamole & Choice tortilla)....Camarones enrollados con tocino y chile chipotle, arroz y frijoles. Grilled steak with 2 cheese enchiladas, guacamole & pico de gallo. Carne asada a la tampiqueña servida con dos enchiladas de queso, guacamole & pico de gallo. Trio fajitas served with bellpepper; onion, tomato, on a sizzling dish. Mmmm, This is great! (Guacamole & sour cream)... Trio fajitas con tomates, cebolla, chile morron en un platillo caliente. 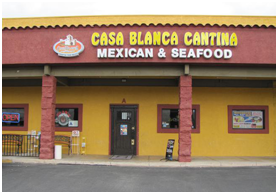 In 1990, Mr. De Leon, owner of the two Casa Blanca Restaurant immigrated to the United States and with him brought the rich traditions of authentic Mexican and Seafood dishes which were served in his native country. These recipes originated from Jalisco, Mexico, and over the years have been intertwined with the desires of the taste buds of the people of the Coachella Valley. These recipes contain only the purest, most natural crops and spices making our dishes exquisite and delicious. Upon arrival, Mr. De Leon began working in the restaurant business full-time as well as attending Coachella Valley High School, full-time. At his job he began to share with his employer the recipes which had been served during his childhood and the restaurant clients began to taste the difference. They enjoyed the new flavors and twists that these new hands were preparing and were very pleased. Soon after graduating from high school, Mr. De Leon opened up his own restaurant where he served the thirty most delicious Mexican entrees in the Coachella Valley. 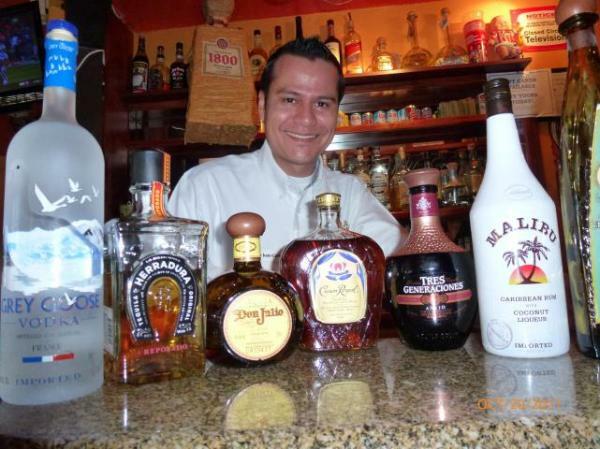 In 1996 Mr. De Leon acquired the Desert Hot Springs location for his first full-service Mexican and Seafood restaurant- where again his delicious servings fascinated his customers. 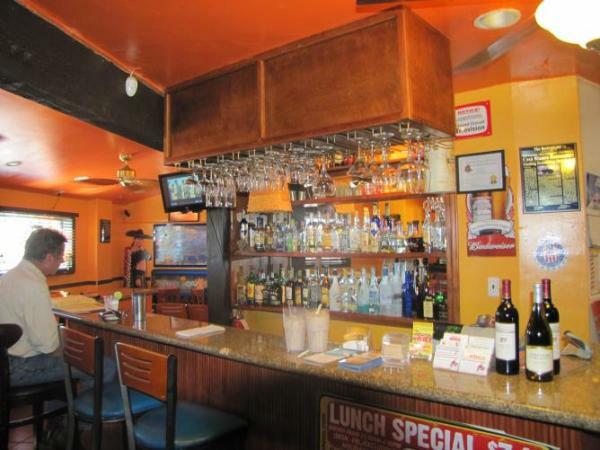 The Desert Hot Springs location is located on Pierson Boulevard and continues to serve the best chicken fajitas. The chicken is bountiful, with extreme flavor. Pair the entrée with the rice water called “horchata” and you have the best tasting meal you can get in Desert Hot Springs. 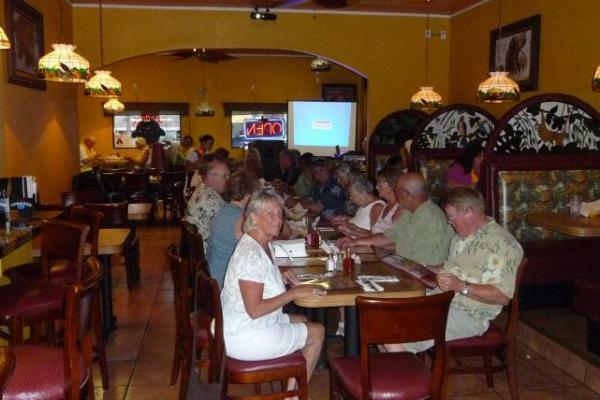 Over the years, patronage increased and in 2006 the Casa Blanca Restaurant in Cathedral City was opened. This location is on the south side of the I-10 freeway on Date Palm Drive where after a full-day of shopping or golf, this location will satisfy your hunger pangs. 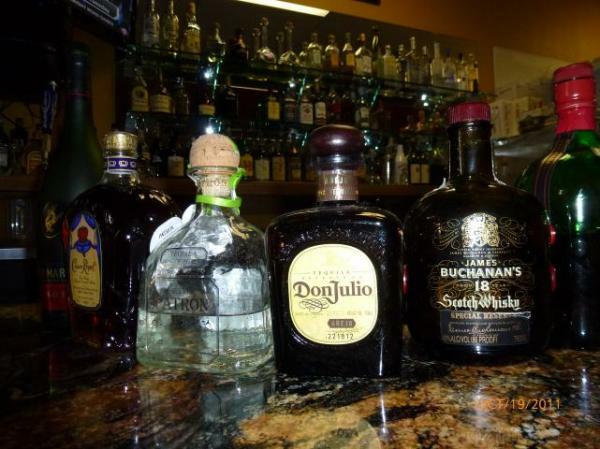 According to a loyal customer base, the “Tampiqueña” entrée at this location is the best in the Coachella Valley. It consists of a hearty serving of carne asada, plus two cheese enchiladas, rice, beans and diced pico de gallo. 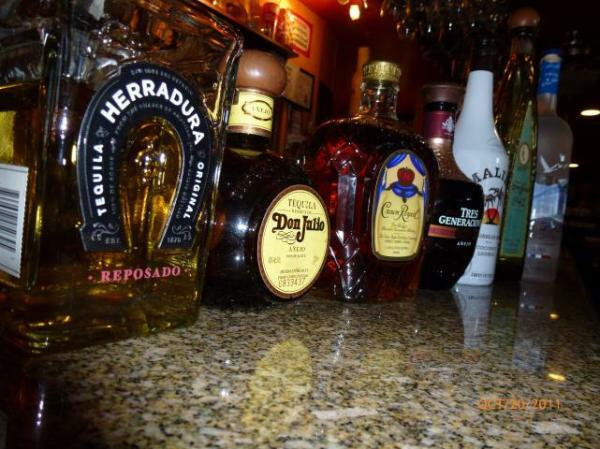 Both locations have a full-service bar which includes domestic and imported beers. ​ And we are happy to announce that he just openned a third location in the city of Palm Desert, CA. Come and visit us today..! Our prices are subject to change without previous notice.